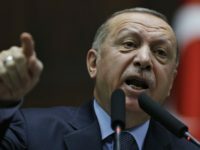 Can Dündar, the former editor-in-chief of Turkey’s last remaining opposition newspaper Cumhuriyet, condemned Turkish President Recep Tayyip Erdogan for claiming to defend the free press in the aftermath of the murder of Washington Post columnist Jamal Khashoggi. 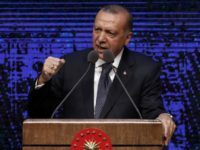 Turkish President Recep Tayyip Erdoğan delivered remarks Sunday promising that his government would continue to work on expanding rights and freedoms, after a week in which the disappearance of Saudi journalist Jamal Khashoggi has triggered renewed scrutiny of Erdoğan’s ongoing media crackdowns. 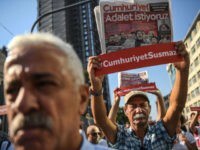 Seventeen editors and officers of Cumhuriyet, the oldest continually publishing newspaper in Turkey, appeared in court in Istanbul Monday to face a variety of charges including “helping an armed terrorist organization while not bein a member of it” and “abusing trust” for their reporting. 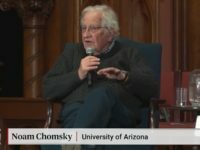 A state-run news agency in Turkey reported Friday that police had issued warrants for four employees, including the owner and chief website editor, of a secularist publication accused of ties to Islamic cleric Fethullah Gulen, the latest incident in a string of crackdowns on objective and anti-government media in the country. The Turkish government has detained the editor in chief of the online edition of the newspaper Cumhuriyet, Oğuz Güven. 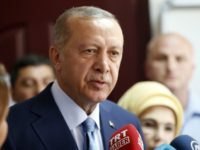 The newspaper says it has not been given a reason for the detention, though state-run Turkish media reported the detention regarded a report published on the site regarding the death of a prosecutor. 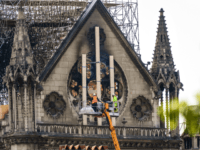 Cumhuriyet’s editor-in-chief, Can Dündar, was on trial for authorizing a report seen as unfavorable to Turkey’s ruling government. On Friday afternoon, an assailant ran towards him, shooting and shouting the word “traitor!” as Dündar was walking out of the courthouse. 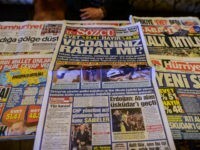 A Turkish court determined authorities violated the rights of Cumhuriyet editor-in-chief Can Dündar and Ankara bureau chief Erdem Gül during their arrest, releasing the men on Friday. 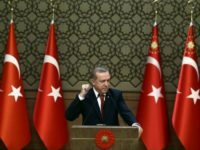 The editors of the Turkish magazine Nokta are facing up to 12 years in prison for two magazine covers the government of President Recep Tayyip Erdogan has deemed to be “spreading terrorist propaganda” and insulting the president, both federal crimes. 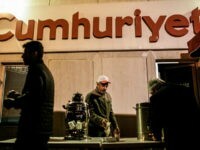 Police raided the offices of Cumhuriyet, a Turkish daily newspaper, on January 14 in an attempt to prevent the newspaper from publishing a special Turkish edition of the French satirical magazine Charlie Hebdo, intended as an attack on the government’s increasingly Islamist rule over the NATO country.